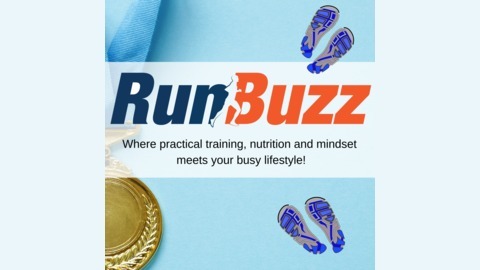 The RunBuzz Running Podcast is a running podcast for runners like you who want practical training, nutrition and mindset tips that integrate with your busy lifestyle. If you are training for your first 5k, 10k, half marathon, marathon or ultra, or you are training for your 50th, we have something for you. Our episodes don't just focus on running and race reviews. We focus on sharing a simplified approach to running that integrates running with strength training, sound nutrition advice and healthy living habits. 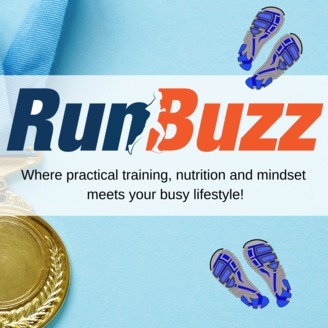 The RunBuzz running podcast features expert advice from experienced coaches, fitness experts, trainers, mindset coaches, physical therapists, nutritionists as well as everyday, recreational runners. It is hosted by coach Steve Carmichael. Steve is a USA Track and Field / RRCA certified running coach, health and wellness coach, former running club director, and speaker with over 8 years of local and online coaching experience with hundreds of recreational, adult runners. In this episode, I share the fundamentals of running and how to get started. I cover what is important, what isn't and I share what you really need to know as a beginner runner. And, if you are not a beginner runner, this episode will help you refocus on what is important and help you get back to the fundamentals.